As many of our regular readers would know, Mandi lost her adored dad earlier this year. Her daughters also lost their Pops and as Mandi discovered, explaining death to children can be very difficult and extremely emotional, particularly when you yourself are feeling distraught. Story books can be a good starting point for discussions with children about death and the loss of a loved one. Stories give children the opportunity to ask questions, share their thoughts and also understand the experience. 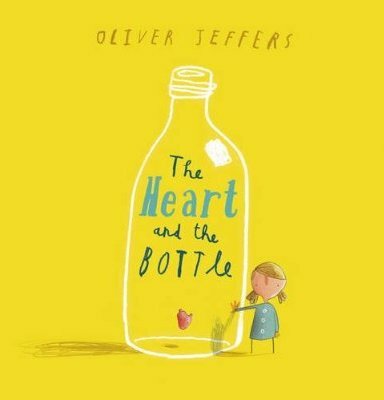 Last year we reviewed Oliver Jeffers’ The Heart and the Bottle, a beautifully illustrated and wonderfully gentle story about a little girl grieving. The references to death in The Heart and the Bottle are abstract and may not be understood by very young children but the story has some important elements – that grieving can feel physically painful, that you might feel sad for a very long time and that it is good to remember happy times. 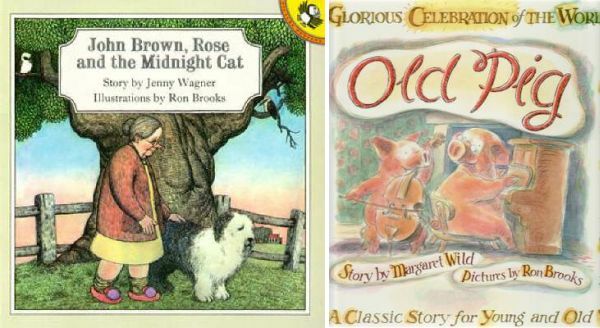 The classic John Brown, Rose and the Midnight Cat by Jenny Wagner tells the story of an old lady, Rose, her talking sheepdog, John Brown and a visiting cat. The story is sentimental and cleverly examines a range of emotions including jealousy, companionship and ultimately that change is an inevitable part of life. Older readers will delve into this story more than younger readers but either way, Wagner’s characters are sincere and heartfelt. Old Pig by Margaret Wild deals with death in a direct way. Wild tells of Old Pig and Granddaughter who have lived together a long time and share everything from the chores and meals to each others company. One day Old Pig does not get up as usual for breakfast. Calmly she puts her affairs in order – pays her bills, returns her library books and then she takes Granddaughter on a last, long walk – looking, listening and savouring. That night, Old Pig and Granddaughter say goodbye and then they “held each other tight until morning.” The final, poignant illustration shows Granddaughter enjoying nature on her own. All three books are available from Fishpond. The Heart and the Bottle is $9.95, John Brown, Rose and the Midnight Cat is $13.95 and Old Pig is $15.95. It is important that adults answer children’s questions about death in an open and honest way and if it is age-appropriate, to do something special to remember the person whether it be framing a favourite photograph, making a memory book or drawing a picture. There is a lot of advice on talking to children about death available online but a good basic starting point can be found here.